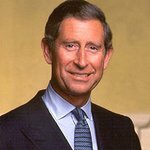 Prince Charles is backing a fundraising appeal by London’s Westminster Abbey that aims to raise more than £12 million to open up the Abbey’s triforium. The triforium is the upper gallery of the historic abbey, which stands 70ft high and gives what is described as the “best view in Europe”. The triforium is currently used for storage and is accessed by stone stairs, but the new campaign aims to clear it out for the benefit of the public, and to install an elevator. The triforium is hoped to be open by 2015.